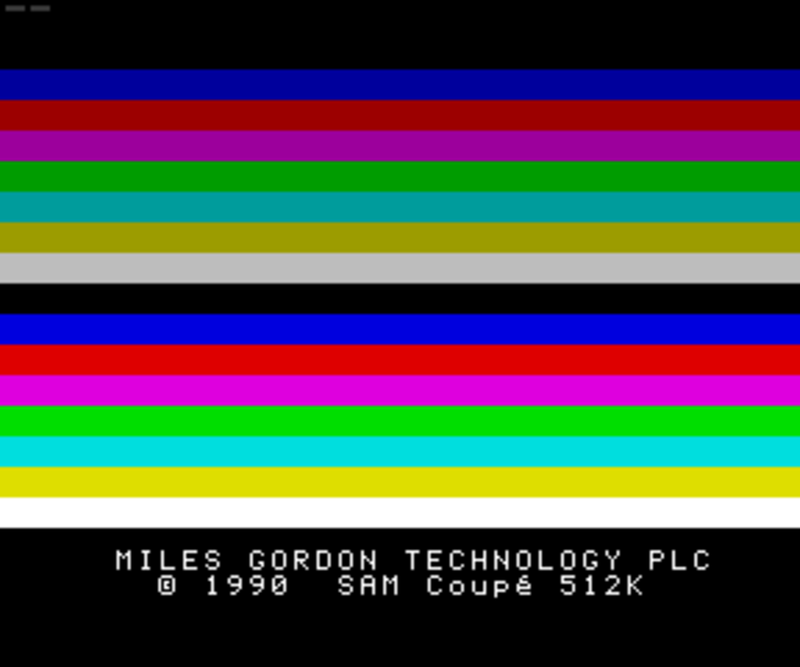 The SAM Coupé was an 8-Bit British computer from a company called Miles Gordon Technology (also known as MGT). It was released late on in 1989 as the 16-bit machines such as the Atari ST and Commodore Amiga were taking a firm hold of the UK market. 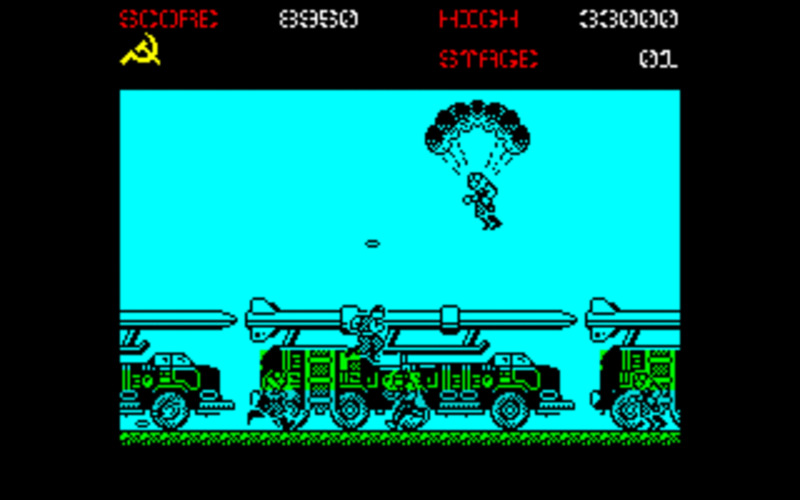 The machine is (and was at the time) considered to be a clone of the ZX Spectrum, as it featured a compatible screen mode and emulated compatibility. But in reality the SAM (as it became known) was more than just a ZX Spectrum clone - the fact that it was compatible with the 48K model was a superb bonus that would perhaps entice existing Spectrum users. That was the theory behind the machine anyway. Consequently it was marketed as a logical purchase and upgrade for existing ZX Spectrum enthusiasts (such as me! ), but unfortunately many users had already made the 16-bit leap. The machine sported a Z80b central processor which ran at a speed of 6 MHz. 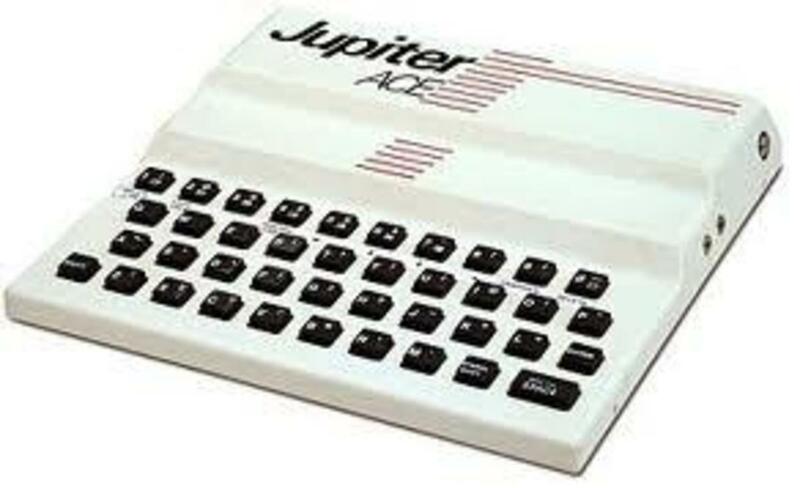 It also contained an ASIC (Application-specific integrated circuit) that was comparable to the ZX Spectrum's gate array. The basic model had 256K of RAM as standard which was upgradable to 512K internally and was also expandable to a massive 4MB externally (in 1989 this was a huge amount of RAM). The computer used cassette tape for primary storage (which by 1989 was becoming a little old hat), though it was possible to connect up to two 3.5 inch disk drives internally which was more in line with the likes of the Spectrum +3 and the 16-bit machines. Six channel sound spread over eight octaves was possible due to the Philips SAA 1009 sound chip, making the machine very capable of producing arcade quality sound effects and excellent music. In order to match the display speed of the ZX Spectrum, the Coupé introduced extra wait states to reduce the CPU speed to match that of a standard Z80 chip whilst in Display Mode 1. 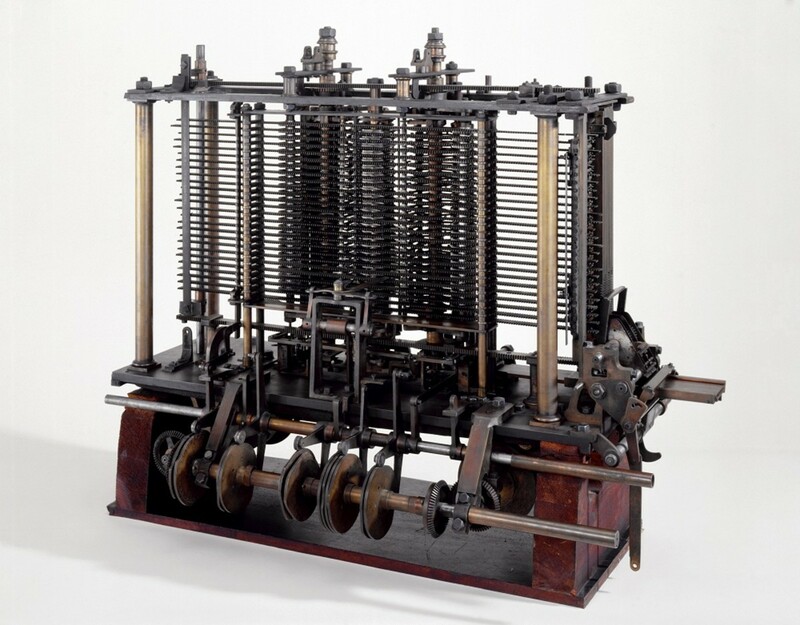 The machine shipped with 32K of Read Only Memory containing code to boot the machine and a BASIC interpreter known as SAM BASIC. This version of BASIC was written by Andrew Wright and he took inspiration from his earlier ZX Spectrum language, BETA BASIC. No DOS was included in the ROM, so if you wanted DOS it had to be loaded from disk. The system's first DOS (known as SAMDOS) was readily available and the machine could be booted straight into DOS mode this way. An improved replacement, MasterDOS, was also developed offering faster disk access, more files and support for the RTC (Real Time Clock). The machine's version of BASIC was very advanced and included code for drawing sprites and also basic vector shapes such as circles. In BASIC it was also possible to record sequences of graphics commands which could then be later repeated without the speed loss of a BASIC interpreter! What Does A SAM Coupe Look Like? The SAM Couple was kitted out with plenty of expansion ports which made it possible to expand the machine with a number of add-ons. A port to connect a lightpen or light gun! As you can see this was a great machine for adding extra hardware to - so those with cash to burn could go crazy. It's definitely from the 80's! Since the machine was effectively marketed as the natural upgrade to the good old ZX Spectrum (or even known as a 'Super Spectrum') it had to be capable of great compatibility. In fact making a machine that was compatible with Spectrum software was a smart idea as by 1989 there were thousands of games for the machine as well as plenty of other software and utilities. 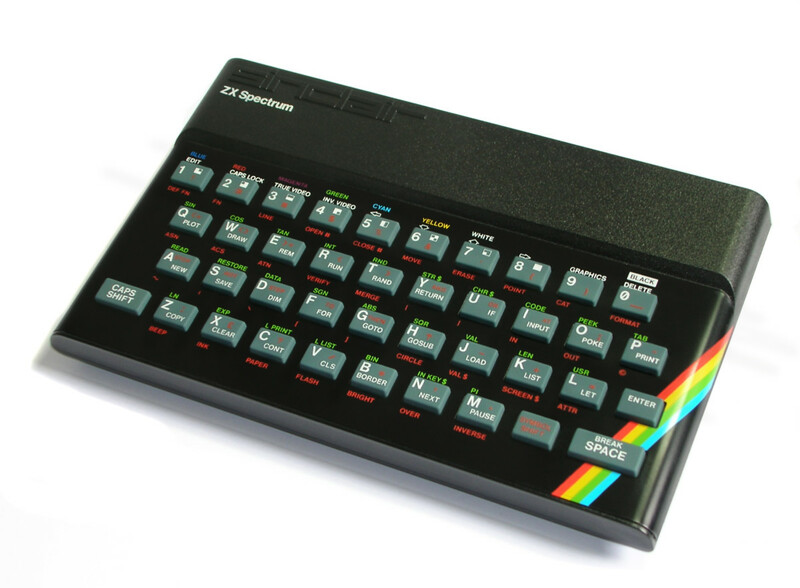 Emulation of the ZX Spectrum was limited to the 48K model and was achieved by loading a copy of the ZX Spectrum ROM and switching the SAM to display mode 1. This mimicked the ZX Spectrum display mode and approximated that machines processor speed (it was a very good approximation and matched the 1Mhz Spectrum quite well). 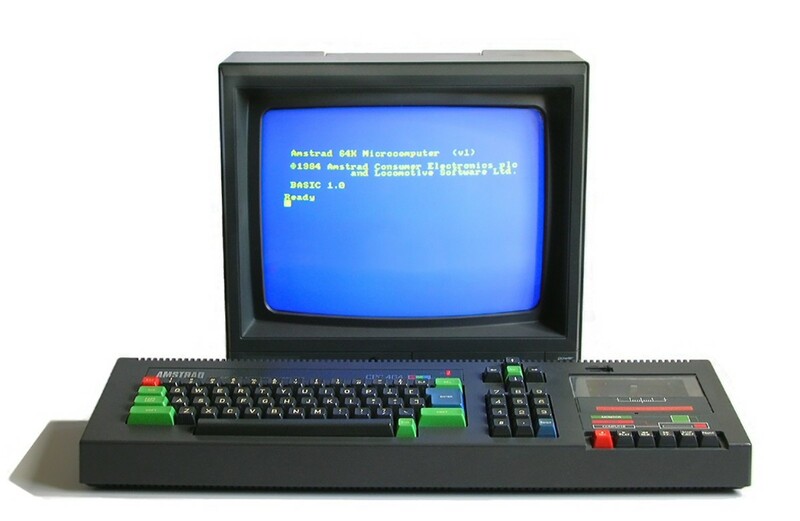 The downside here was the fact that the ROM was not supplied with the machine and had to be obtained from a real ZX Spectrum - not an easy task. But emulation did work well and if you already had a large library of ZX Spectrum programs then you would be able to use them on your SAM Coupe as well as making use of the superior capabilities of the machine. Well apart from being able to play pretty much any existing title from the already large library of ZX Spectrum games, quite a lot of classic games were released for the machine to make use of the superior 8-bit hardware. Arcade classics such as Pacman, Ghosts N Goblins and Defender were converted to the machine, and bonafide Spectrum classics such as Manic Miner were also developed. The seminal epic space trade em up Elite also made it onto the SAM Coupe, and a very nice version of the classic platform-arcader Prince Of Persia was also available. In reality not nearly enough games were created for the machine to showcase it's capabilities, and it struggled to attract many of the established games companies (and developers). Many were already committed to the 16-bit machines and probably felt that the SAM was a step backwards. 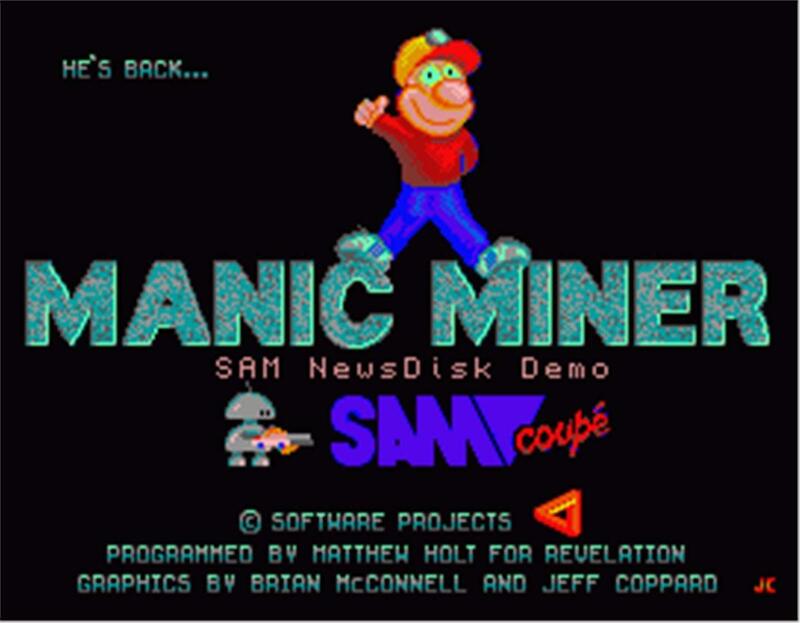 The SAM Coupe version of Manic Miner was programmed by Matthew Holt. It is very faithful to the original ZX Spectrum version making the player execute pixel-perfect timing and replicating the original screen layouts very well. As you would expect though both graphics and audio were greatly enhanced taking advantage of the superior SAM hardware. In addition to the original games twenty caverns, a whopping extra forty caverns were included in this version of the game. Levels were designed by David Ledbury, and winners of a competition run by SAM Computers Ltd to find the best 'new levels'. If you are a fan of Manic Miner then please give this version a go - you will not be disappointed. Pipe Mania - I LOVE this! Most of these games were well put together on the SAM Coupe and proved that the machine was capable of being a good games machine. This is a fine machine that unfortunately never really took off fully. In the ZX Spectrum community excitement was building as we all started to hear about this new 'Super Spectrum'. For some reason though the machine (despite being good) never really took off. I can only put this down to the likes of the 16-bit heavyweights of the Commodore Amiga and the Atari ST. When it first launched in 1989, it was so late in the year that it pretty much missed out on the Christmas sales, so it was not off to a good start. There was also a bug in the first version of the ROM (which gave rise to problems when booting into SAMDOS), meaning that MGT had to replace roughly 8000 existing ROMS in 1990. Later the same your MGT went into receivership which was a real shame. 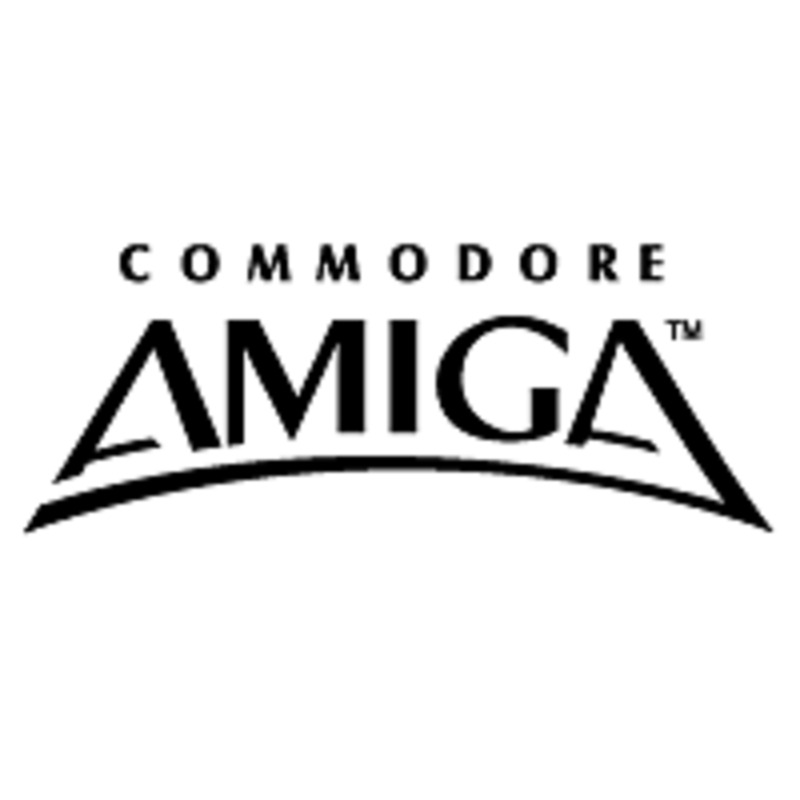 By 1991 despite the machine being sold for under £200.00 (a real bargain) the likes of the Amiga was at the peak of it's powers and the SAM just never really got going. Consequently few machines (comparatively) were sold making good quality examples more difficult to come by these days. 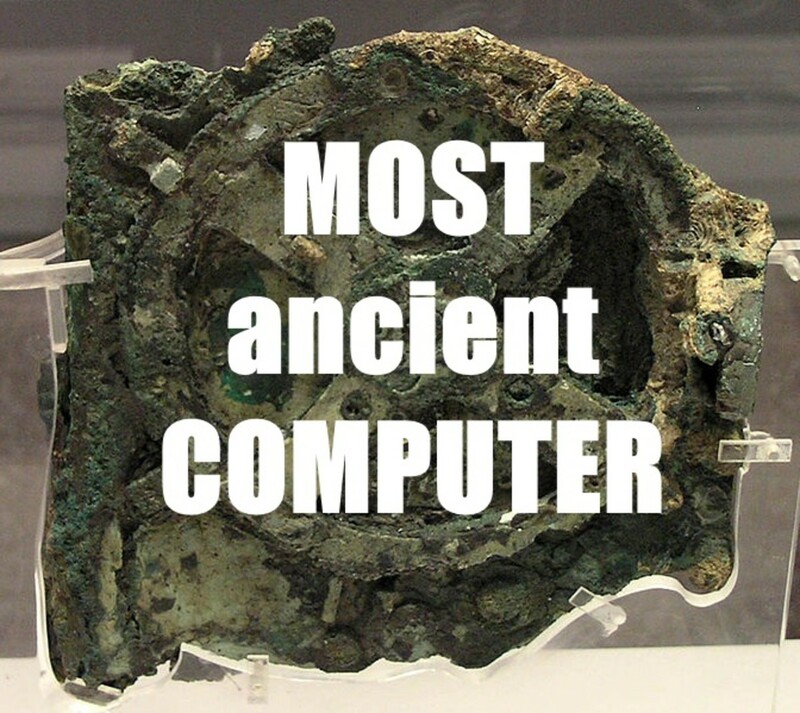 The SAM was a great computer that probably arrived about a year too late. If it had come earlier it probably could have given the 16-bit machines a real run for their money, but unfortunately it is one of those machines that did not quite do as well as it should have. It is now regarded as a real cult 8-bit machines due to it's chequered history and rarity when compared to most other 8-bit machines of the 1980s. You can pick up ZX Spectrums, C64s, Amstrads, BBC Micro's etc with relative ease... but grabbing a good condition SAM takes a little bit more effort. It is possible to emulate this retro machine. SIMCoupe is a great emulator if you want to discover this machine and it's (relatively few) games. Any Fans Of The SAM Coupe? I don't think it reached far beyond the UK - it did generate some excitement back then but to be honest the Atari ST and Commodore Amiga had already taken hold so users who wanted to upgrade went for a 16-bit machine. The SAM was a very good machine - but it was probably a year too late. As a result SAM's are rare to find and if you do see one on Ebay they end up selling for quite a lot of money. The SIM Coupe emulator is great though! Wow, this is one I've never heard of! I thought I'd kept up with all of the older machines. Cool hub.